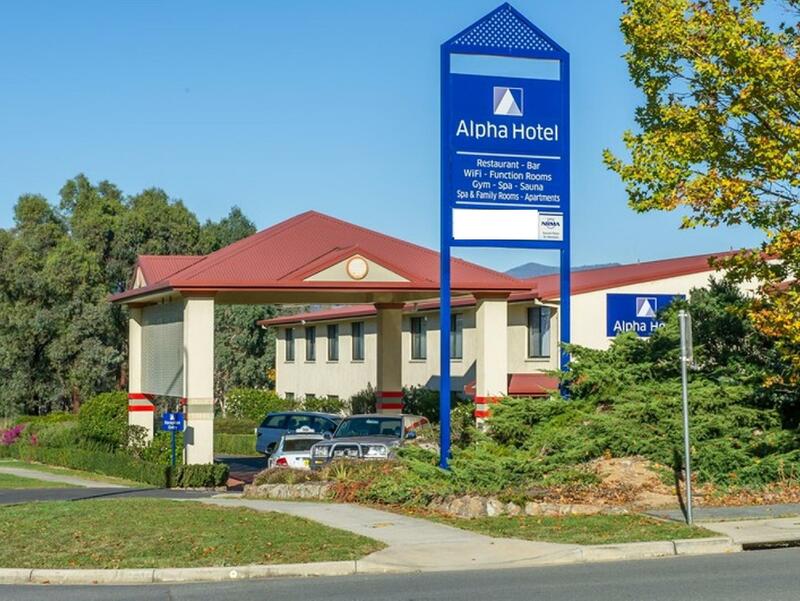 يشكل فندق Alpha Hotel Canberra بموقعه الممتاز في قلب تاجيرانونج نقطة انطلاق ممتازة لاستكشاف كانبرا. يقع مركز المدينة على بعد 20 km فقط. ويمكن الوصول إلى المطار خلال 30 دقيقة. سوف يعشق النزلاء موقع هذا الفندق، فهو قريب من أهم المعالم السياحية في المدينة كمثل Tuggeranong Family Medical Practice, Tuggeranong Walk-in Centre, Kambah Medical Centre . 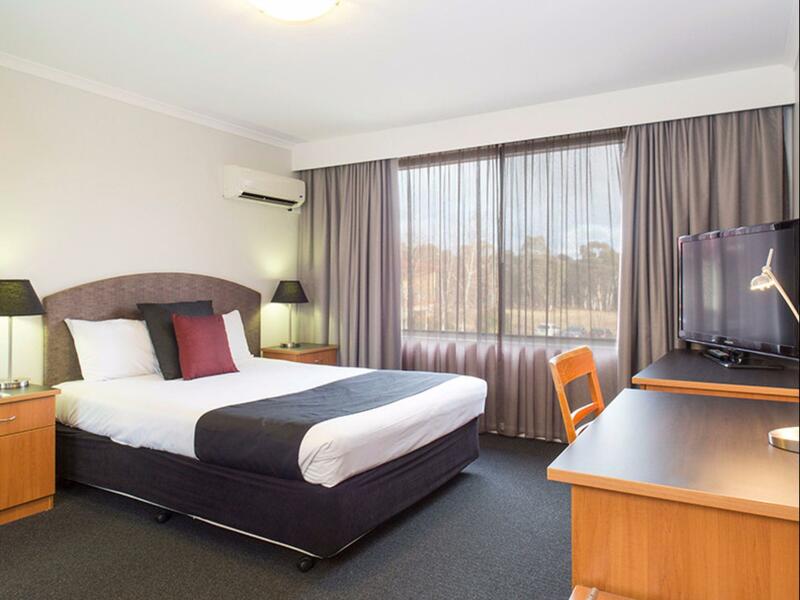 يعمل Alpha Hotel Canberra على ضمان إقامة مريحة لضيوفه من خلال خدماته الممتازة وحسن ضيافته. يمكن للنزلاء الاستمتاع بالميزات التالية: واي فاي مجاني في جميع الغرف, متجر, خدمة التنظيف يوميًا, مدفأة, خدمة غسيل ذاتية أثناء إقامتهم في هذا المكان الرائع. يمكن للنزلاء الاختيار من ضمن مجموعة من الغرف المصممة بعناية لتعكس جواً من الراحة، والتي يتجاوز عددها 100. يقدم الفندق خدمات رائعة كمثل مركز للياقة البدنية, ساونا, سبا لمساعدتك على الاسترخاء بعد نهار طويل من النشاط والتجوال في المدينة. 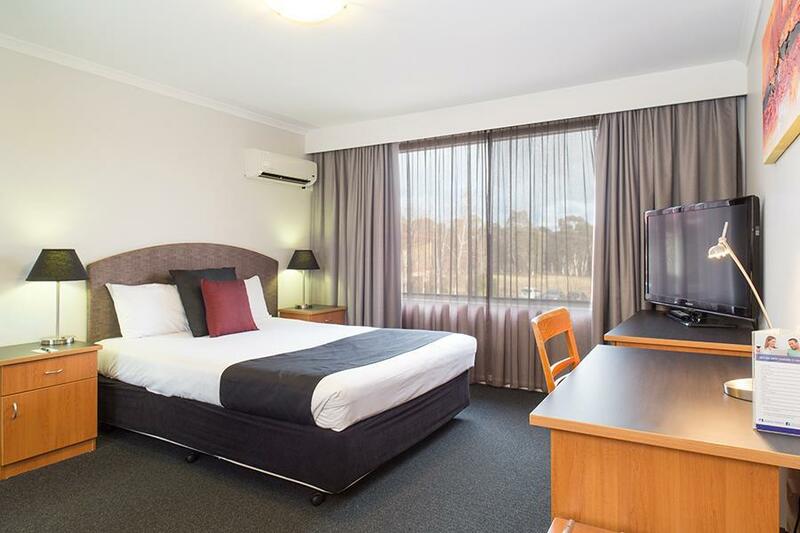 إن Alpha Hotel Canberra هو خيار ذكي بالنسبة للمسافرين إلى كانبرا، بما يوفره من إقامة هادئة ومرحة. يفتح مطعم ومقهى "تيندربوكس" (Tinderbox Restaurant and Cafe) أبوابه لتقديم وجبة الإفطار طوال الأسبوع، ويقدم وجبة العشاء من الإثنين إلى الخميس (باستثناء أيام العطلات الرسمية). Centrally located. 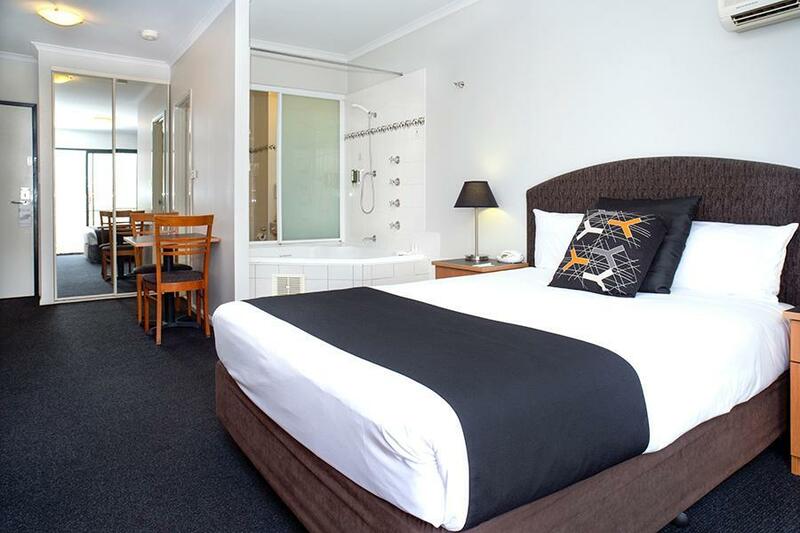 5 min walk to the local RSL, 2 min drive to big shopping centre, 15 min drive from national zoo and aquarium. Night clerk was a bit rude and the room looked a bigger on the pics but otherwise good value for money. Although a little dated, in some ways, this was a great place to spend one night. We had to be in 'this area' to meet with some friends, and this location was perfect. The cost was great and the facility turned out to be pretty good too. It was clean, comfortable and met our expectations. Restraunt was only open for breakfast. Bed was lopsided and uncomfortable and could only sleep on 1 side or would roll out of bed. Shower was luke warm with bad pleasure. Fridge was turned off. Clean and tidy, nice restaurant and bar, comfy bed and aircon that coped with the heatwave. Best value in Tuggeranong, and an affordable way to have some space visiting the relatives. 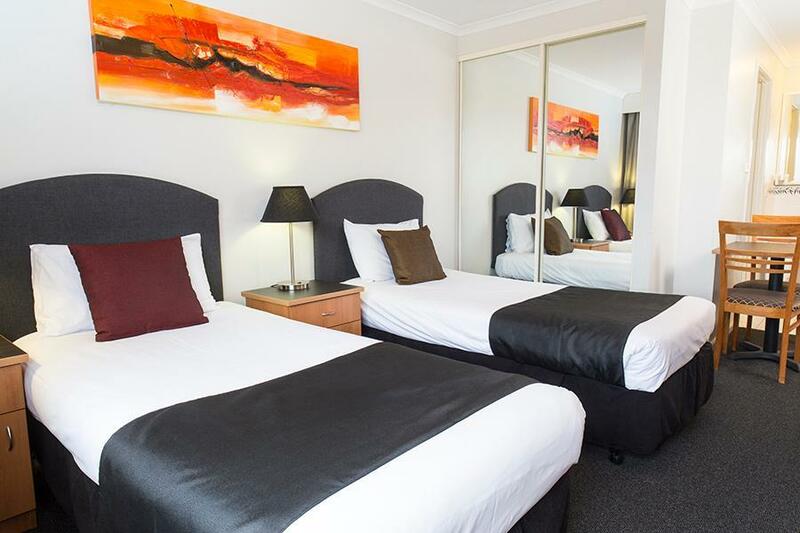 Friendly helpful staffs clean spacious quiet rooms with breakfast. Good location just across the road from major shopping center food court and bus station. Good value for money. 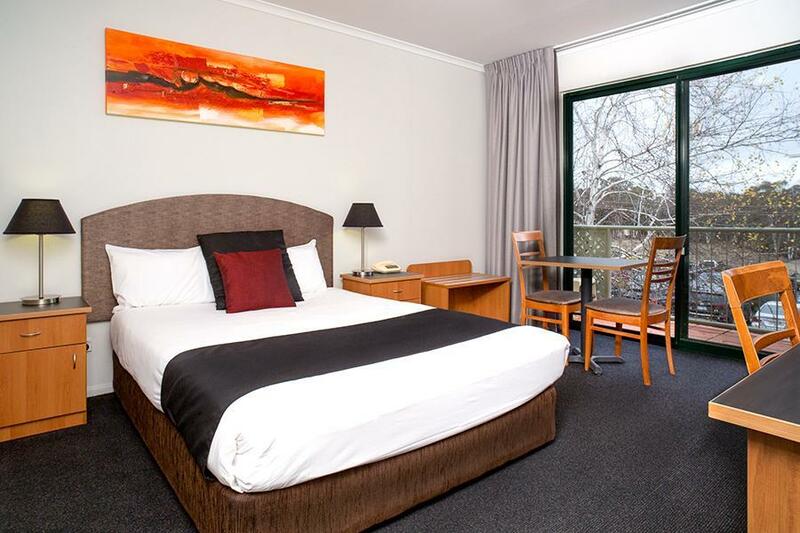 Will most definitely stay at Alpha hotel Tuggeranong again. This hotel was very good but really needs a swimming pool. The breakfast was very adequate and the staff were extremely helpful and professional. The rooms were spotless and the movie channels were excellent, definitely going again and would recommend it to anyone staying in that area. I had very amazing trip this time, easy booked room online, small room but good enough, very welcoming lady at the reception-understandable, very clean room and nice and warm, 10 out of 10. I understand that area is in growth so hopefuly the view from balcony will be improved... Definetely will come back and refer to others. Thank you. Your free internet click jacked my tablet and pornographed my Facebook feed. And two days after I left my credit card had to be cancelled because it was being used illegally in Britain. And, yes, I'm very sure it happened because of my stay. This hotel worked for my needs. 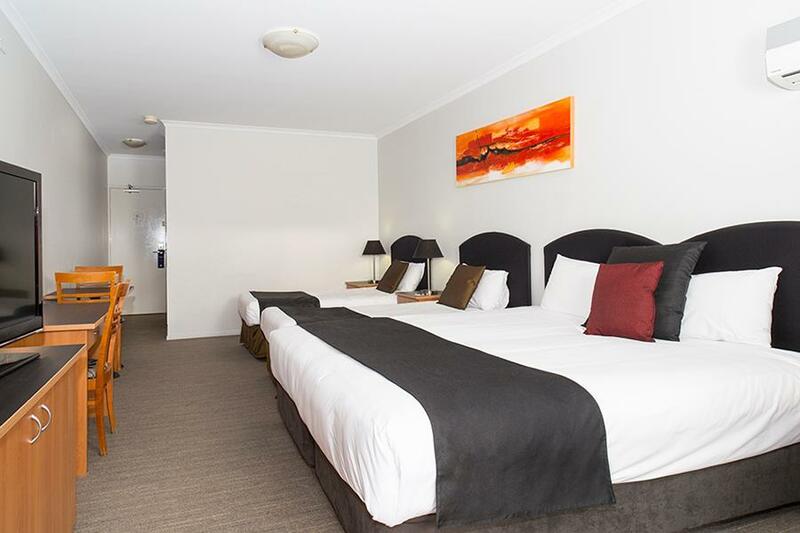 Nothing special, it offered good quality accommodation in the Tuggeranong area for a good price. I will go back there if I need to base myself at Tuggeranong again in the future. We had a very comfortable stay at the Hotel and appreciated the quiet location which meant we weren't forced to use the air conditioning but could have fresh air and also enjoy a lie in with little noise to disturb us. We also appreciated the motels commitment to reducing laundry policy by supplying clean towels to be used if needed but leaving the towels which were hanging up to be reused at the discretion of the guest. The staff were very kind and considerate to my elderly mother and, apart from not being able to reach the hand held shower from a seated position, the room provided to her had all the necessary aspects for easy access. We will happily stay there again. The only reason for a 3 rating for food and dining was that the only dining we had was a serve of toast on one day. Our stay was very good. I haven't given top marks simply because I feel the bathroom should have a bench of some sort, or at least a hook for hanging clothes. There were 2 space options in the bathroom in our room where a simple bench would have offered somewhere to put toiletries while showering, other than on the floor or outside the door in the main room. The only option for hanging clean clothes/removed clothing was on the very small towel shelf/rail which was also the only place to hang towels, and just not enough room.